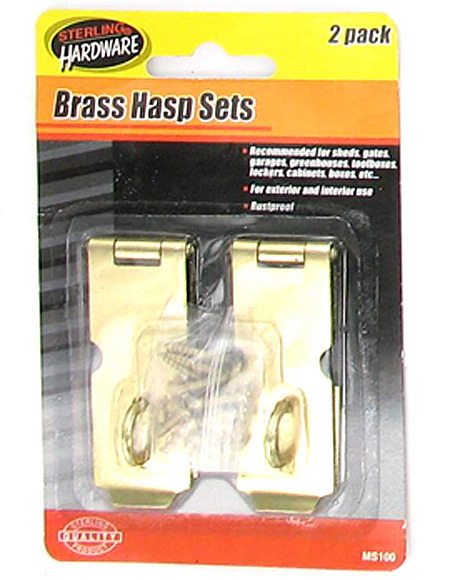 Recommended for sheds, gates, garages, greenhouses, toolboxes, lockers, cabinets, boxes and more, this 2-piece Gold Tone Iron Hasp Set features rustproof 2 5/16" hasps that can be used for the exterior and interior of homes. 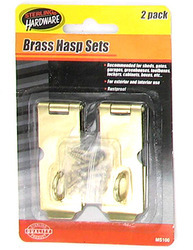 Includes screws. Comes packaged in a blister pack.